Can the Healthy Media for Youth Act Change Gender Stereotypes and Women Employment? 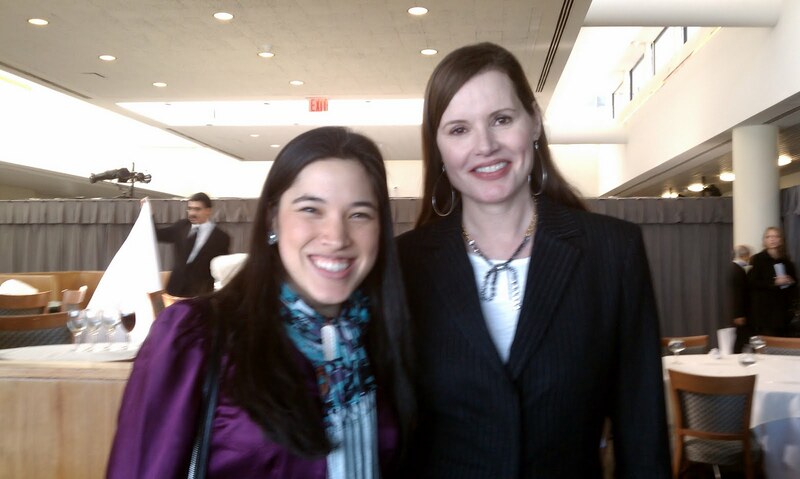 Geena Davis, Oscar-winning actress and founder of the Geena Davis Institute on Gender in the Media, has been recently spotlighted as she works with US Senator Kay Hagan and US Representative Tammy Baldwin to promote how women are portrayed in the media. The trio introduced the The Healthy Media for Youth Act on Wednesday, a new bill that would seek to support media literacy programs, encourage youth empowerment groups and generate research on how depictions of women and girls in the media affect youth. In addition, it would create a National Taskforce of Women a nd Girls in the Media, a group dedicated to developing standards for healthy, balanced and positive images of women and girls in the media. As co-chair of the Healthy Media Commission for Positive Images of Women and Girls, Davis is working alongside more than 30 media and women's organizations to improve images of women in the film industry. She is the founder of the Geena Davis Institute on Gender in Media, working to fund and compile research on gender in children's entertainment and the impact it has on societal stereotypes and gender roles. As women and girls learn that they do not have to fit into these specified roles, their vision for future career paths and personal development is expanded. It is particularly important, when considering those who have been exploited, to provide opportunities to see women, in a non-objectified way, with multiple opportunities for sustainable careers that do not involve physical or mental abuse. We believe that with the collective passion for the cause and the Commission's continued efforts, there will be lasting, positive change.